by Bagin, Don, Gallagher, Donald R.
Bagin, Don, Gallagher, Donald R.
Well researched and applied, this best-selling text enables school officials to communicate effectively with their staff and the community to improve school quality and student learning. The authors continue to teach, research and work extensively with school administrators. This text not only tells why but how to communicate to create a supportive environment where students learn better. 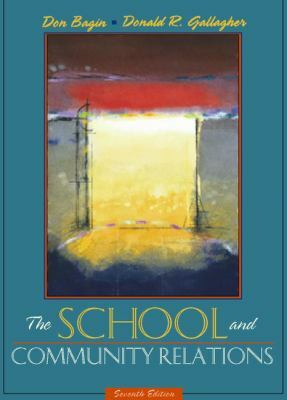 Focusing on every audience a school administrator will encounter, this book offers sound advice that is field tested and successful.Bagin, Don is the author of 'School and Community Relations', published 2000 under ISBN 9780205322008 and ISBN 020532200X.